Little Big Event #1 – Types everywhere! 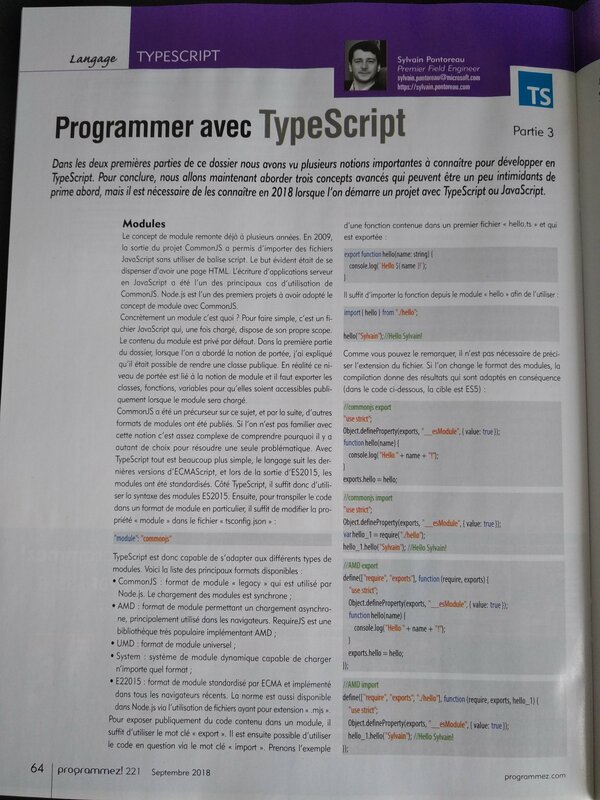 Last Thursday, I was at Clermont-Ferrand in France to talk about the TypeScript type system. It was a special event organized by Mug In Clermont, LavaJUG and Clermont’ech. There were a lot of developers during this event, the Clermont community is really active and friendly. It’s probably one of the best community event I did this year, thanks to organizers for the invitation, hope I can comeback later! As always slides are available on Speaker Deck here. Also, live coding sources are on Github. DevFest Paris 2019 – TypeScript: Why? When? How? Last Friday (8th, February 2019), I talked about TypeScript at DevFest Paris 2019. This presentation is an updated version of the one I did at Microsoft Experiences 2018 with my mate Félix Billon. Slides can be find on Speaker Deck here. Yesterday, during Paris TypeScript meetup, I talked about Functional Programming with TypeScript. It was an introduction on Functional Programming basic concepts and it’s definitely not a common topic in the TypeScript community, a lot of developers still using OOP only with the language. To be honest this talk wasn’t the easiest I made, because it was the first time I try to explain Functional Programming to other developers. But it was really intresting and I share a lot with other people on Functional Programming. As always my slides are available on Speaker Deck! Last week, I was at Node.js Paris meetup to talk about Azure Cosmos DB with Node.js. Microsoft Experiences 2018 – TypeScript: Why? When? How? Today I did a presentation at Microsoft Experiences 2018 with my mate Félix Billon from the Paris TypeScript community. It was about TypeScript: Why? When? How? The room was full with 170 developers inside! Thanks to all of you it was really a pleasure to talk about this awesome langage (as always ;)).